How much editing are you allowed to do on a photo before it intrudes on your photo integrity? Across the globe, this is a big thing amongst photographers; especially news, sport and documentary photogs. 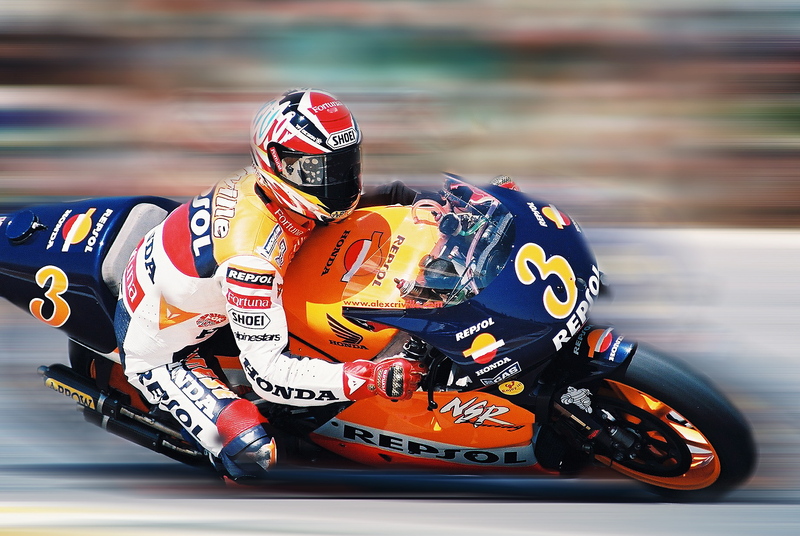 The photo below of Alex Criville was taken by me in 2000 at the 500 cc Motorcycle Grand Prix. The shot was quite boring in the sense that I froze the action with a high shutter and at this specific spot there wasn’t a great number of people in the background. So what I ended up doing was to take another photo (with alot of people in the background), took this background and put it into this photo to make it more interesting. Furthermore I used photoshop to give a pan effect (Blur). I didn’t sell this photo to anyone because I thought I had done too much editing on it. This meant there wasn’t a great deal of photo integrity from my side. 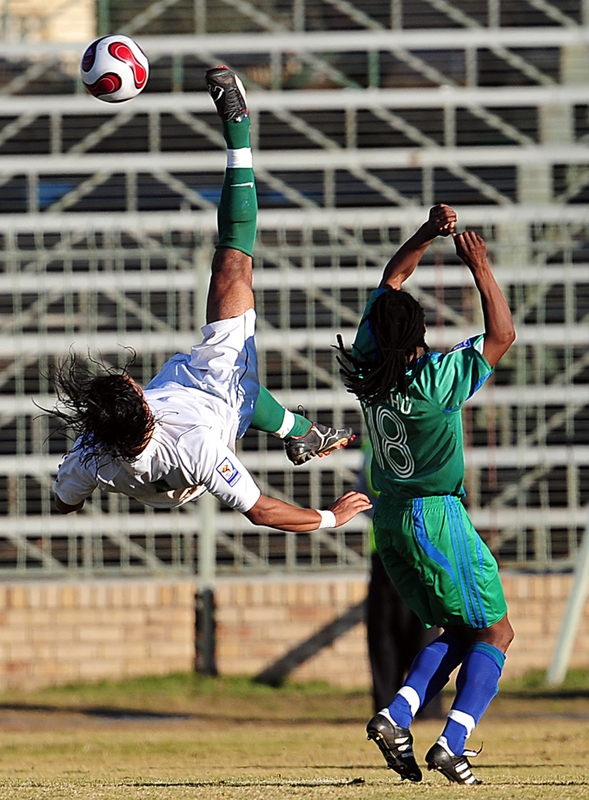 The next photo I took on 15 June 2008 in a World Cup Qualifying match between Lesotho and Libya. I think it is a great shot except that it is a bit boring since there isn’t a crowd in the background. The bottom line is this: the photo has a great deal of photo integrity with no resale value. I’m not a photographer or anything, but I did major in philosophy in undergraduate and I’m in law school now, if that helps. I think that context matters in something like this. It’d probably be a bit wrong to use the first picture in a “look what happened at this event!” article, but not in a “motorcycle racing is cool” magazine scan type thing.